Manchester United very confident to land £53m rated Chelsea transfer target. 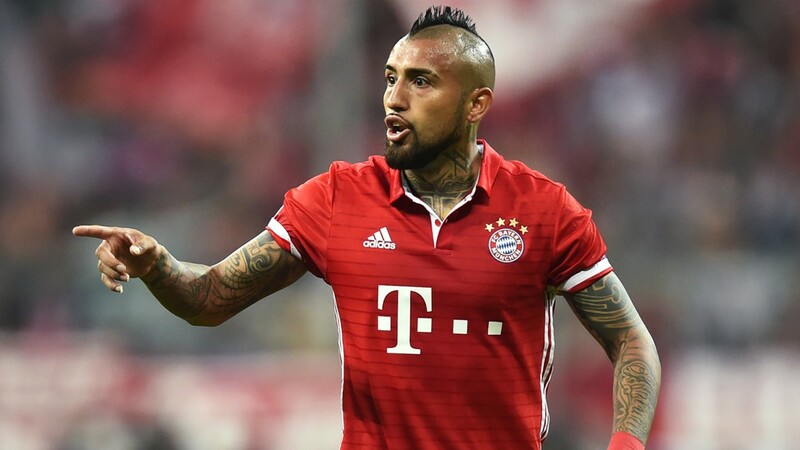 If we go by reports, Manchester United are confindent that German giant Bayern Munich will sell Arturo Vidal in the summer transfer window as they are now preparing for the arrival of Leon Goretzka. Manchester Evening news claim, Jose Mourinho wants to reunite him with Pogba in the midfield as they believe he will bring out the best in him. The pair, while playing for Juventus proved to be a superb combination and Mourinho now feels it could be better to have them play together as a team. The player is believed to be worth £53million and the Daily Star have also linked the player to Chelsea. Arturo Vidal as played under Antonio Conte at Juventus and the midfield maestro has continuously been linked to reunite with his former Boss at Chelsea – Recent report also revealed Chelsea submitted a £33million bid to bring him over to Stamford Bridge in the last transfer window. Manchester United are also looking into signing Nice star player Jean Seri as another possible option in the midfield. The Mirror also claim Manchester City are desperate to sign Seri as a revenge over United signing of Alexis Sanchez, they have enquired about signing the French star and Nice are looking at a fee in the region of £35m before they can let go of the player. Manchester United believe Arturo Vidal would be a nice successor for departing Michael Carrick.